The 14 Master Class pilots reunited over the Arabian Gulf for 2019’s opening race, bringing fierce competition to the track. The hope of it being an even more heart-pounding season than last has been actualized. And Team 99 did just that: despite ever-changing track conditions, they adapted. That incredible trust helped launch the team onto the podium for the second consecutive year in Abu Dhabi. Goulian placed 3rd, next to two World Championship title holders: Czech Republic’s Martin Sonka (2nd) and Japan’s Yoshihide Muroya. 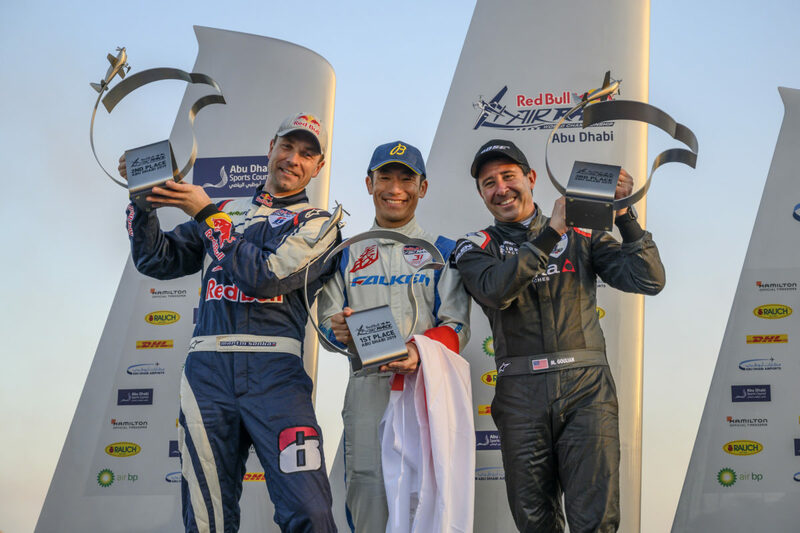 The exact same 3 pilots graced Abu Dhabi’s podium just 12 months ago, proving history does have a tendency to repeat itself. As the winner of both Qualifying and the race, Muroya made the most of a new World Championship points system in 2019. The Japanese pilot racked up 3 points for Qualifying plus 25 points for the race victory, for 28 overall. In second overall, Šonka has 22 points, while Goulian holds 21. For now, the team packs up the raceplane and begins counting the days until they take the skies again. Content and images courtesy of Red Bull Content Pool. 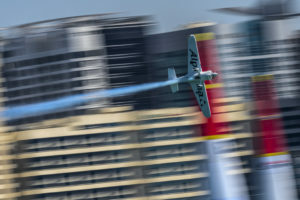 USA’s Michael Goulian setting the tone for Red Bull Air Race’s new season with first point toward the World Championship.